A Textbook of Physical Chemistry: Second Edition provides both a traditional and theoretical approach in the study of physical chemistry. 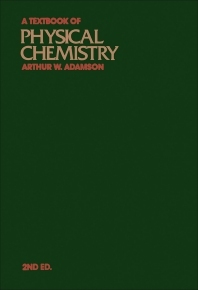 The book covers subjects usually covered in chemistry textbooks such as ideal and non-ideal gases, the kinetic molecular theory of gases and the distribution laws, and the additive physical properties of matter. Also covered are the three laws of thermodynamics, thermochemistry, chemical equilibrium, liquids and their simple phase equilibria, the solutions of nonelectrolytes, and heterogenous equilibrium. The text is recommended for college-level chemistry students, especially those who are in need of a textbook for the subject.